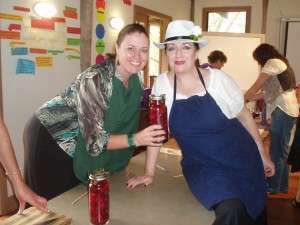 This workshop will help you transform your harvest into tasty jams, pickles, bottles of fruit, dried produce, and vinegar and accompaniments that will get you right through the year across the seasons and those “hungry gaps” when there’s not much in the garden. It will enable you to have an impressive display of food at your fingertips, keep a well-stocked pantry to be proud of, use surplus harvests, prevent waste or even develop an income from your produce. 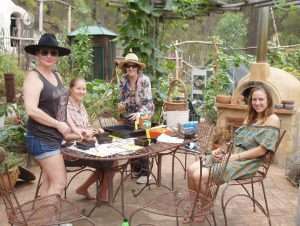 For those that want to get healthy, preserve your garden surplus the most nutritious way and live a more self-reliant and sustainable lifestyle. 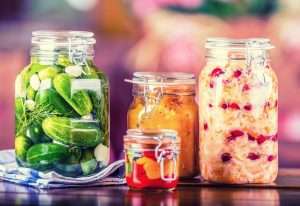 This workshop will provide you with the knowledge, skills and confidence to go home and make your own healthy fermented foods and drinks. It will be fun packed, informative, hands on and very practical. You will discover how simple it is and how you can integrate into your daily life. Don’t miss it! 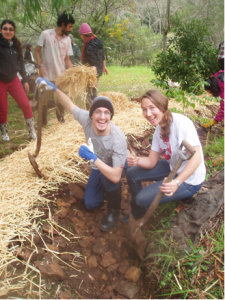 The Permaculture Design Certificate (PDC)is the ultimate permaculture course experience. Covering the Permaculture Designers Manual it brings together ancient and modern wisdoms, science and the arts and many practical design principles and techniques for living a totally sustainable lifestyle. For lovers of cheese and “the good life”, increasing self-reliance and energy efficiency. 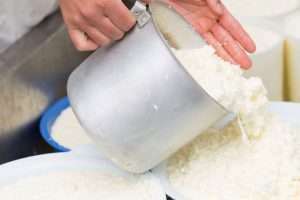 This workshop will help you to transform milk into some of the most delicious soft cheeses of the world. It will enable you to learn and value traditional cheese making skills; reduce waste, food miles and cost and produce an impressive display of fresh home made cheeses of which you can truly be proud.